Pope Francis and bishops from around the world have called for a binding global climate agreement, written by Katie McSweeney, CatholicEarthcare Australia. As United Nations leaders gathered at the COP20 climate summit in Peru last week, Pope Francis and Catholic Bishops from around the world called for a global climate treaty and an end to the use of fossil fuels. “We can find adequate solutions only if we act together and unanimously”, Pope Francis said a written statement to Manuel Pulgar-Vidal, Peru’s minister of the environment and host president of the climate summit. He encouraged the leaders to make the right decisions quickly, as they “affect all of humanity, especially the poorest and future generations”. He also urged them to work together, as “an effective fight against global warming will be possible only with a collective and responsible answer”. The Bishops have released a statement saying they believe it is necessary for them to “accompany the political process” in order to protect frontline communities suffering from the impacts of climate change. This is the first time that a group of senior church figures have spoken out about climate negotiations. “We express an answer to what is considered God’s appeal to take action on the urgent and damaging situation of global climate warming” the Bishops said in their statement released on December 9. “We are convinced that everyone has a capacity to contribute to overcome climate change and to choose sustainable lifestyles”. This call for immediate action on climate change is one of many statements from the Catholic Church focusing the environment and social justice. 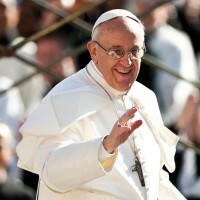 It may be a foreshadowing of the upcoming ecological Encyclical, which Pope Francis is scheduled to release sometime during 2015. However a commitment from the Church to combat climate change is not new, and in a written statement released in 2005, the Australian Catholic Bishops referred to global warming as one of the major issues of our time. “We now urge Catholics as an essential part of their faith commitment to respond with sound judgments and resolute action to the reality of climate change” the Bishops said. Climate talks in Lima wrapped up on December 14, with delegates approving a basic framework to address global warming. This agreement, known as the “Lima Call For Climate Action”, asks governments to submit national plans for cutting emissions by March next year. These plans should then form the basis of a global agreement in Paris. For further information please contact Katie McSweeney, Communications & Marketing Manager at Catholic Earthcare Australia, on (02) 8907 9500 or katie@catholicearthcare.org.au.